Denise Van Outen is a successful actress and presenter. Denise first came to our screens in 1996 as a member of ‘The Big Breakfast‘ team on Channel 4. Stage success soon followed with very successful starring roles in Chicago (Broadway & West End), Tell Me on a Sunday, Legally Blonde and Rent. Her success on Broadway gave her a taste for the US and Denise headed to LA to front NBC’s Grease: You’re the One That I Want! Denise was a member of the judging panels on both BBC1’s Any Dream Will Do! and I’d Do Anything. She was also the host of Sky1’s Hairspray: The School Musical. While Denise was pregnant with her daughter Betsy she designed and launched her own maternity clothing range with Very. She has also written a book about her experiences of pregnancy called Bumpalicious, and a follow up Adventures of Parenthood. In 2011, Denise was a lead judge on the ITV1 talent show Born To Shine. Denise reached the final of BBC1’s Strictly Come Dancing in December 2012. In 2016, Denise embarked on a West End run of her one-woman show ‘Some Girl I Used to Know‘ and also hosted her own show on Magic FM. 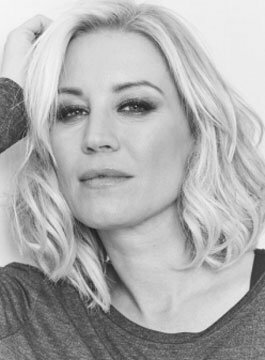 Denise Van Outen is an experienced, charismatic and engaging corporate event host and awards presenter.